A long standing member of the International Society of Appraisers, Tina Teel Tremblay began her career in 2000 working with collectors in Asia. Since then, Tina has worked with collectors throughout the globe and has managed over $100,000,000.00 in client collections establishing herself as one of the leading international art consultants in today’s field. 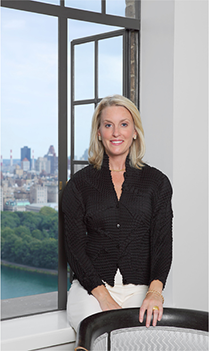 Tina is a past managing partner of an art advisory firm in New York City which allowed her to work with a diverse range of collecting areas such as Post-War and Contemporary Art, American Paintings, European Paintings, Photography and Asian. Tina provides a full range of discrete fine art management services including USPAP format appraisal evaluations, assistance with buying and selling, assistance procuring insurance and assistance with art finance opportunities.